I haven't received the package from Mr. Deng yet. I sent him a box of odd todd stuff. :-) Thanks again to Mr. Deng! At this time I am writing this again now. This week I am backed to work but I get the stumick problem again and sprays the diareaha again!. This happen so frecently these days. I spend many hour on the nightsoil pot but now I starts to feel better! How are you these days? Did you receive my package I send to you with the horsebeans? I thank on you for the package you will send me! I did not receive it yet, but will enjoy the Frisbee. I see it is a kind of bowl that you throw at others. In China many people like the KFC but I do not like such that vomit food! It always make me sickly. Here are some more photo I send to you! 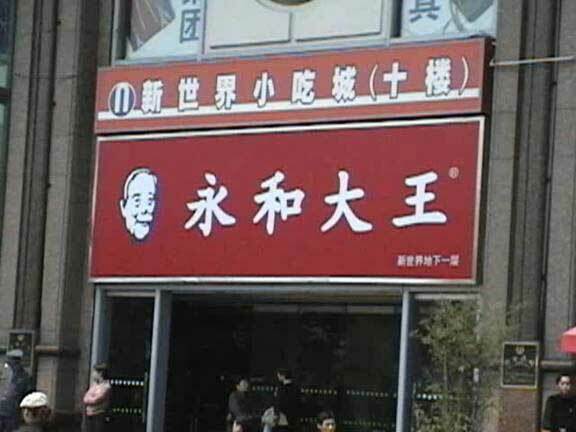 Here is a KFC that is make in China . 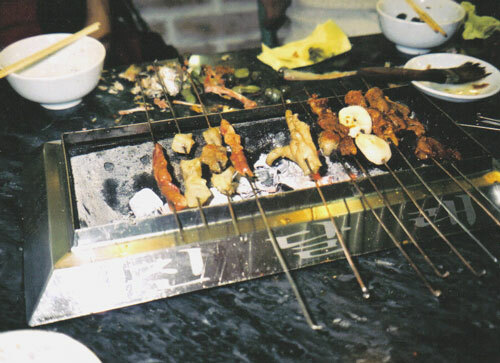 If you come to China you can also eat in this place! I likes to eat the chicken feet. Look at this Korean restaurant with the feets. I never get sick on that kind of animal food. 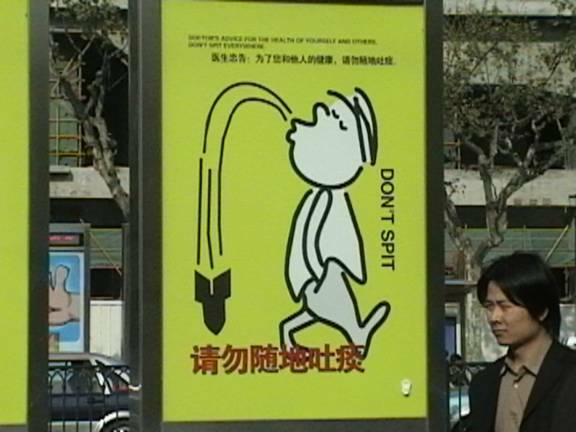 Because of SARS last year, the government forbid others to spit to the ground with the sine. Now the side walk is not as sticksome as before. Soon China will be as clean as the U.S.A. and everyone can be happy and not sickly. These days I see many sine like this. 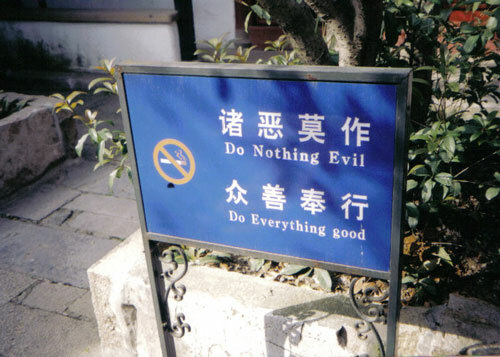 It beware the People not to do very bad thing and also to no smoking. You should have this sine in the U.S.A. to warn the bad Etaly people not to kill others with the guns. This sine say to take care or you will fall down! 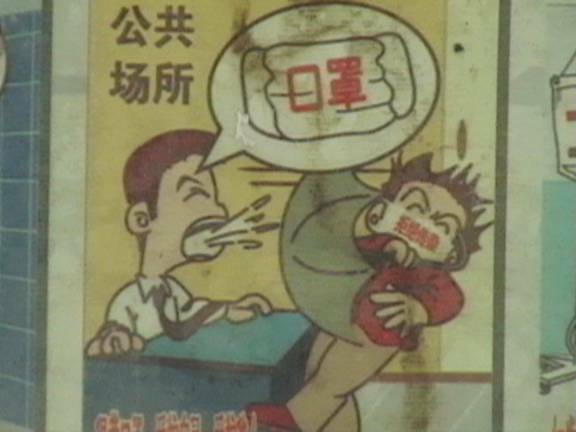 This sine tell others not to sneeze on people. It is not so safety to do that anymore. 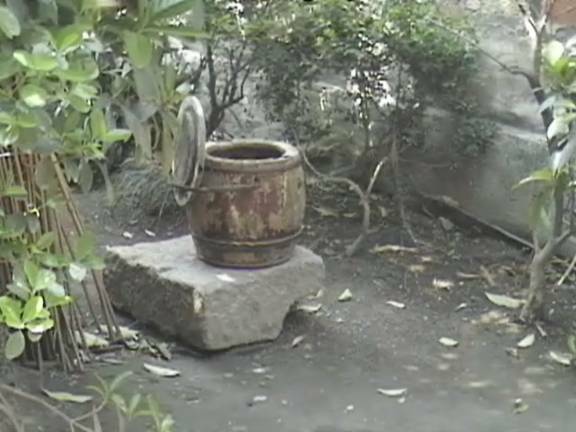 Here is my nightsoil pot behind my house. This is the end of the photo I send to you now. Hope you have a good week and do not fall down! I am the hooligan Deng!